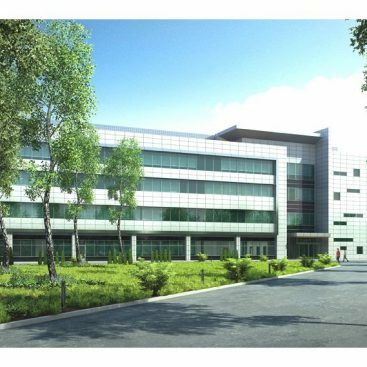 High Tech High School will have a new home for the 2018 school year. 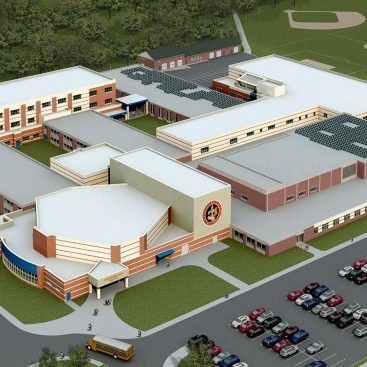 A new $160 million, 350,000-square-foot county high school. The school will move from its current location in North Bergen. 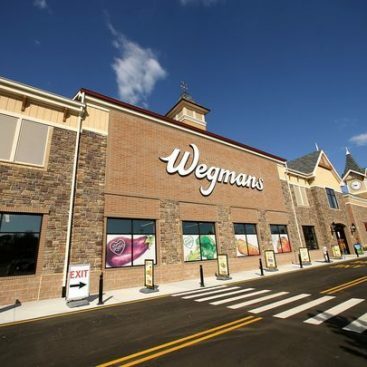 Wegmans Food Markets announced the grand opening date for its new location in Hanover. The new store, a 113,000 square-foot supermarket, will open in Hanover’s Mack-Cali campus at the intersection of I-287 and Route 10 on Sunday, July 23. The new store will be open seven days a week from 7:00 a.m. to Midnight. Wegmans will be hiring approximately 500 people. Available full-time openings range from customer service and entry-level management to culinary positions, such as line cooks and numerous part-time opportunities. Don Bosco Prep, a private Catholic college preparatory high school for young men in Ramsey, New Jersey. 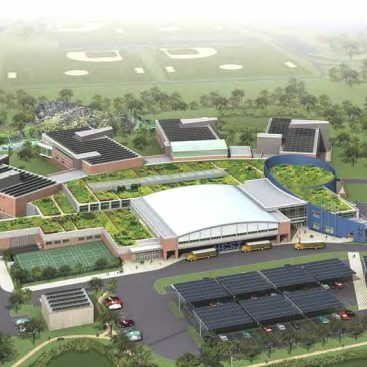 Designed to support current and future academic goals, the 35-acre campus renovation in Bergen County will include the build of a new facility that will encompass a chapel, up to 16 classrooms, a cafeteria and servery, locker rooms, trainers room, weight room as well as allow for the renovation and repurposing of existing space to provide an expanded bookstore, office space, and an auxiliary gymnasium. 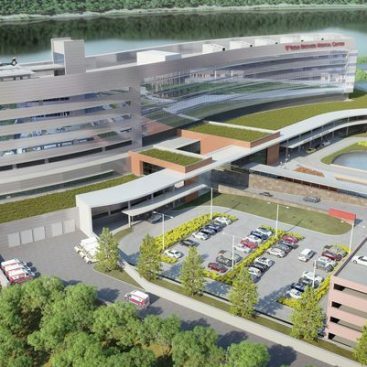 The sprawling construction site off Route 9 spanned a city block, prepping for the new 696,000-square-foot building that will house 264 private patient rooms and other medical services in one of Dutchess County’s largest ever capital projects. 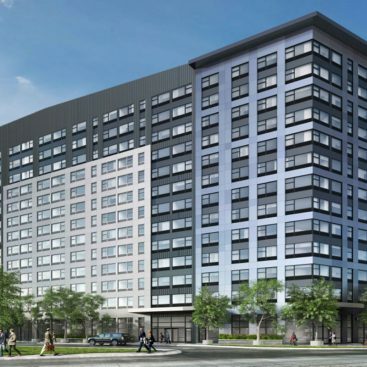 After outgrowing its facility in Clifton, NJ, Driscoll purchased the former site of Bayer’s North American headquarters at 6 West Belt Parkway in Wayne, NJ. The new site allows Driscoll to increase its warehouse space and operations areas from 218,000 square feet to 507,000 square feet. This new headquarters will allow the company to increase its employee count from 450 to 800 in the next five years. To make room for a new 341,000 square feet refrigerated warehouse addition, the west side of the existing building is being partially demolished. 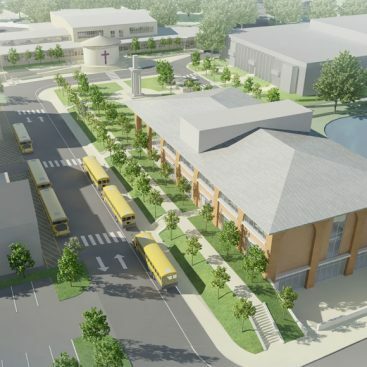 The balance of the building being left standing will be completely renovated, providing Driscoll with an additional 166,000 square feet of space. Both, the new addition and renovated space will be connected. Driscoll Foods’ new site will also have two new driveways for truck-only access, and 67 new loading docks for the new proposed distribution operations. 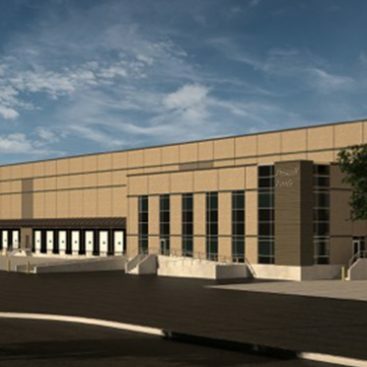 The new refrigerated warehouse will include over 200,000 square feet for coolers and freezers, as well as ambient warehouse space for dry food storage. The renovated structure will feature new office space, production spaces and a battery charging and maintenance area. Currently being developed by The Rockefeller Group as a build-to-suit for Summit Medical Group MD Anderson Cancer Center, a joint venture between Summit Medical Group and the University of Texas MD Anderson Cancer Center. As part of a master plan development of the Green at Florham Park, that houses the New York Jets Training Facility and BASF’s North American Headquarters, the site was approved for a 130,000 SF building with underground parking. The shell of the building was designed to inform elements of the interior program and locations of vertical circulation, entrances and entrance features. The design seamlessly incorporates clinical requirements and technology specifications of major medical equipment such as linear accelerators (LINAC) and MRI machines. 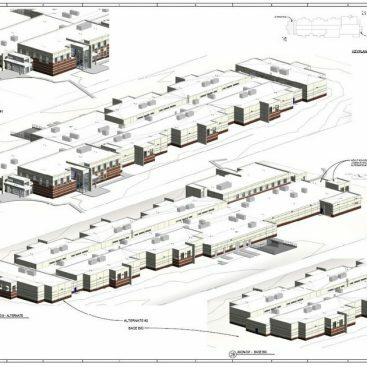 The facility will feature 3 LINAC shielding vaults consisting of 30-inch thick walls where external-beam radiation treatments will be administered to treat all body parts/organs for cancer. The U.S. Military Academy at West Point, New York, is undoubtedly one of the most historically significant federal installations and educational campuses in the country. First established as a military fort in 1778, West Point is the oldest continuously-operating Army post in the United States. 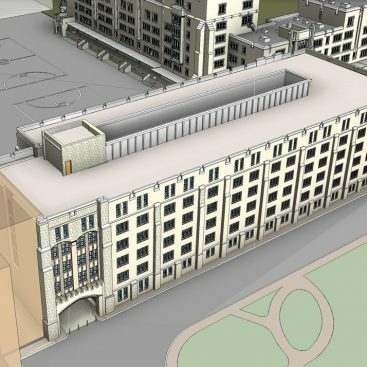 In order to address the modern needs of its 4,000+ cadet population, BTPH was selected to assist West Point in upgrading and modernizing its nine existing cadet barracks and supporting facilities.